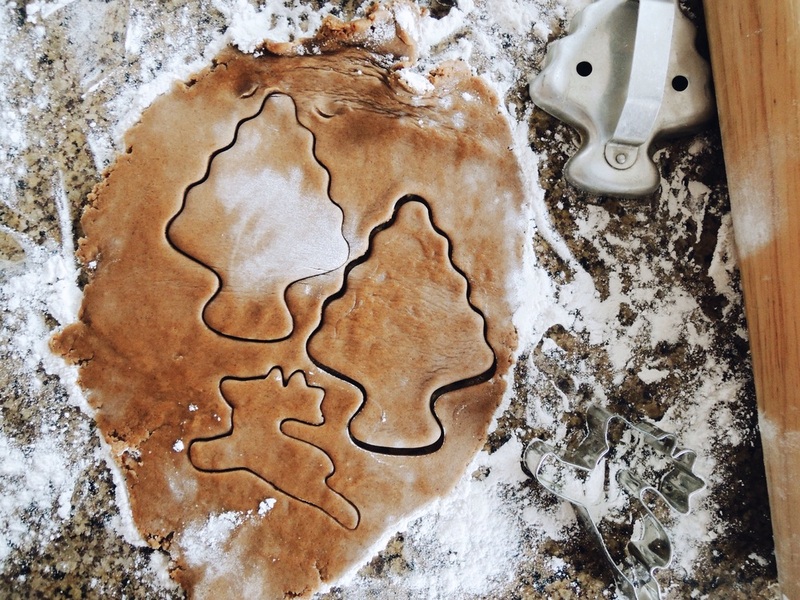 Today I made Christmas cookies and thought I would share the process with you. So I was being lazy and bought the dough but it still tastes pretty good. I started off by making a ball out of the dough and placing it down onto the counter with tons of flour on it. But the dough was being really annoying and sticking to the counter even though there was so much flour. So I took some cute pictures then cut out the cookies on the baking tray so I could easily put them in the oven. We got these adorable woodland animal cookie cutters from Ikea over the summer and I jumped at the opportunity today to use them. I easily turned the moose shape into a reindeer and the fox just stayed a fox. These are how the cookies turned out. I used some leftover icing from the gingerbread houses so I didn't have to make any. (again, I was being lazy) I'm not very good at putting icing on cookies but I think they look pretty good. Let me know if you have made any Christmas cookies in the comments below and don't forget to like!